Since this is Thanksgiving week, I just knew I would have to post a recipe. Since my husband’s favorite is his mother’s Broccoli and Rice Casserole, I thought I would share it with all of you as well. Happy Eating! Preheat oven to 425 degrees. Steam broccoli; set aside. 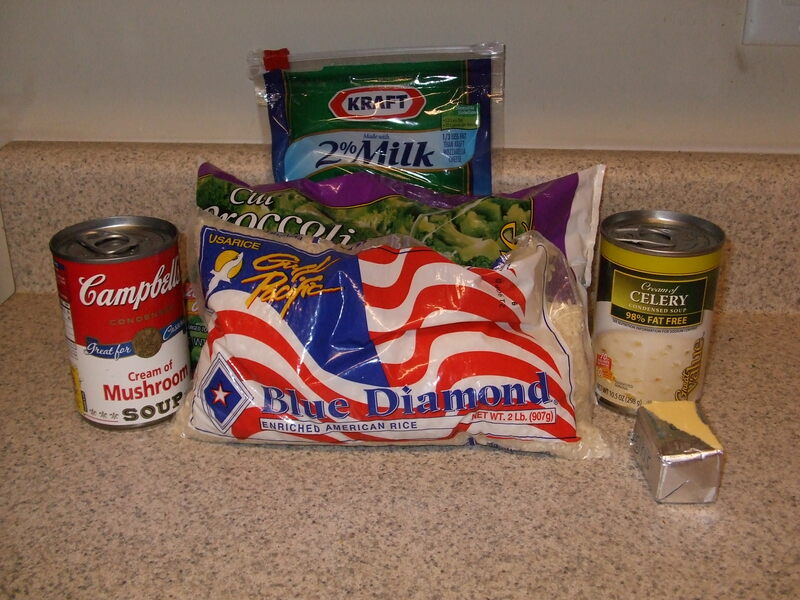 Cook rice and fold in with broccoli in a large mixing bowl. Add soups, butter, and cheese (save about 1/4 cup of cheese for later). Spoon mixture into a 2 1/2 qt. baking pan. Top with remaining cheese. Cover with foil (or you’ll burn the cheese). Bake for 45 minutes. I hope you enjoy this recipe as much as we do! It is so simple but very yummy! What are your favorite recipes? I would love to hear from you!